Successful development of the RoadToBio Roadmap requires the collaboration of experts from the chemical industry, NGOs, governmental bodies, academia as well as the finance sector and brand owners. Welcome to the 11th newsletter of the RoadToBio project. The project team is currently very busy – we are in the process of summarising all the information collected in a three-part Roadmap. As the project is approaching the finishing line, we are contacting our stakeholders once more to get their views on our findings. We would like to extend a big thank you for your input so far, which has been incredibly valuable for our development of the Roadmap..
­ Successful development of the RoadToBio Roadmap requires the collaboration of experts from the chemical industry, NGOs, governmental bodies, academia as well as the finance sector and brand owners. 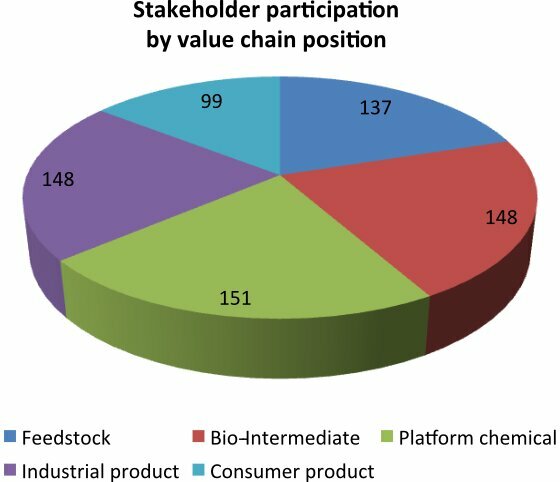 The hurdles and potential issues regarding the increase of the bio-based share of chemical products cannot be resolved within the chemical industry alone. Therefore, governments, administrative bodies and NGOs need to work together with the chemical industry, as well as other industries along the value chain, to resolve these issues and develop joint strategic concepts for the short term. 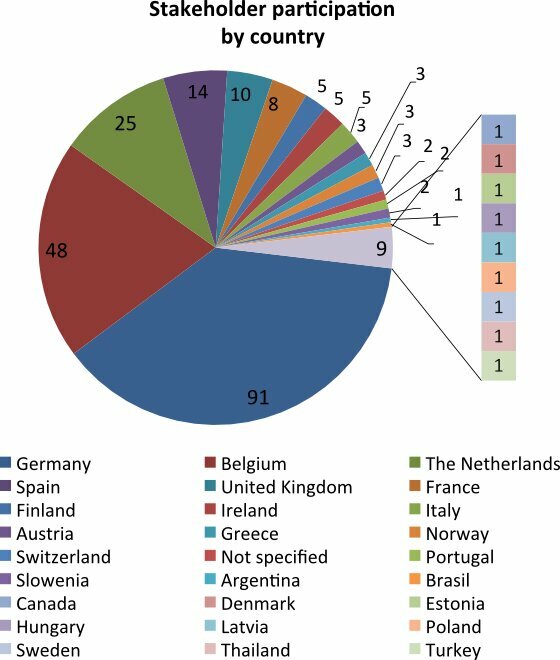 Throughout this process, a dialogue between institutions should be established and maintained so that any issues that might occur in the development of a bio-based chemical industry can be readily resolved. ­ In addition to the prospect of co-creating and determining the Roadmap content, cooperation with the RoadToBio team offers unique opportunities. The Roadmap has potential to reach wide audiences with high impact. It will include different opinions of producers and consumers through an unbiased, credible voice. The challenges faced by individual institutions can be overcome through collaboration, for which this Roadmap aims to outline and address to the appropriate groups of stakeholders. ­ Over 200 stakeholders have been involved in the Roadmap development to date. 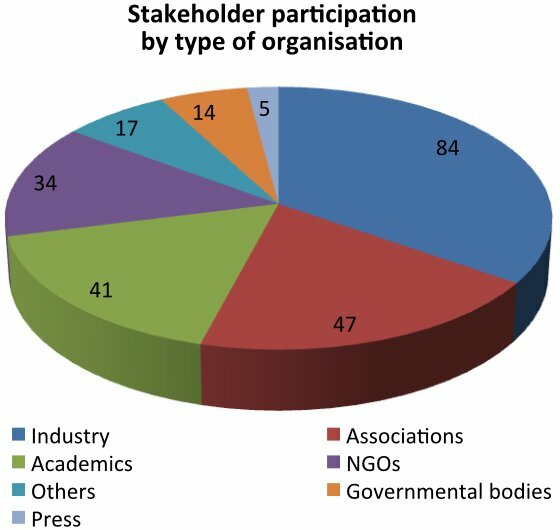 ­ The involvement of the stakeholder groups took place through various channels, to ensure a continuous information flow to relevant stakeholders, and to maintain their interest and to expand the network. In two workshops, two webinars and 30+ individual interviews, expert stakeholders from various fields were as asked for their opinions on several topics, for example, what criteria are important to them to rank business cases, or what they think the public perception of bio-based products is. A selection of their statements will be included in the final Roadmap. A survey was conducted on key barriers and hurdles perceived by the industry that could make market entry more difficult or prevent markets from expanding. ­ In our next newsletter, we will talk about the next deliverable within the RoadToBio project, which is called “Ways to overcome regulatory and acceptance hurdles”. The report builds upon the previously collected knowledge about regulatory and societal barriers as well as public perception, all in regards to the bio-based economy and bio-based products.